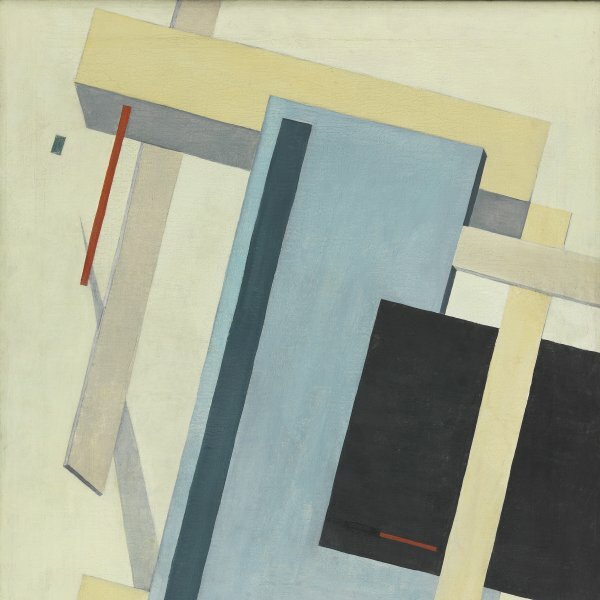 Around 1914, when Malevich began to drift towards the constructive language of Suprematism, Nikolai Suetin, like Chashnik and El Lissitzky, converted to this new artistic ideology according to which art should explore a non-objective abstraction in order to represent visual analogies of experience. The following year Suetin took part in 0.10. 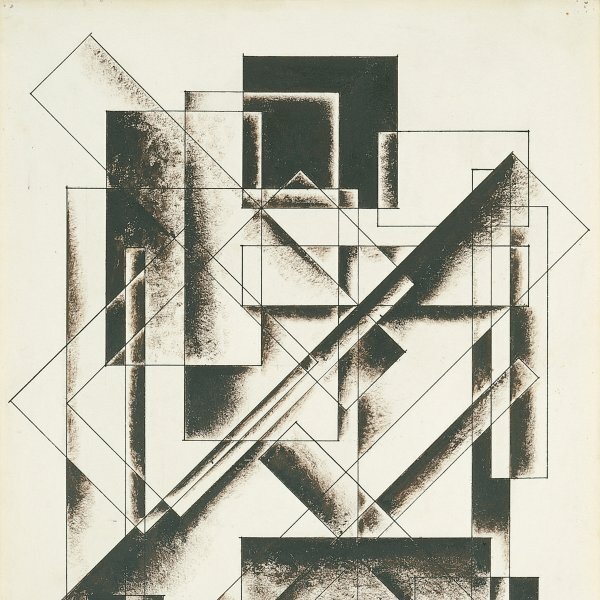 The Last Futurist Exhibition of Paintings, which is considered to be the starting point of the new movement. 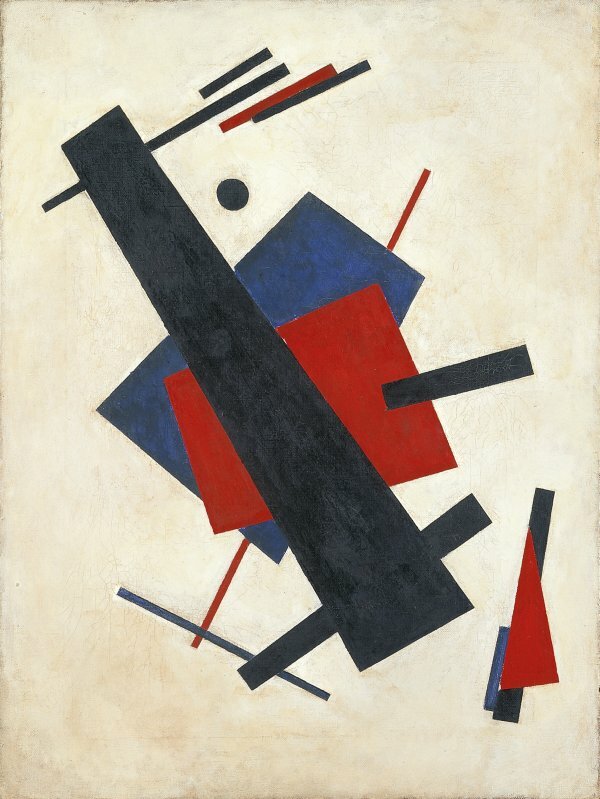 Towards 1920, the year he probably executed the present canvas entitled Suprematism, Suetin was involved in the activities of the Unovis group (Affirmers of the New Art), established by Malevich in Vitebsk. Unlike Malevich, who applied his theories exclusively to the two-dimensional surface, Suetin was always interested in representing in space the Suprematist notions of rhythm, weight and movement. 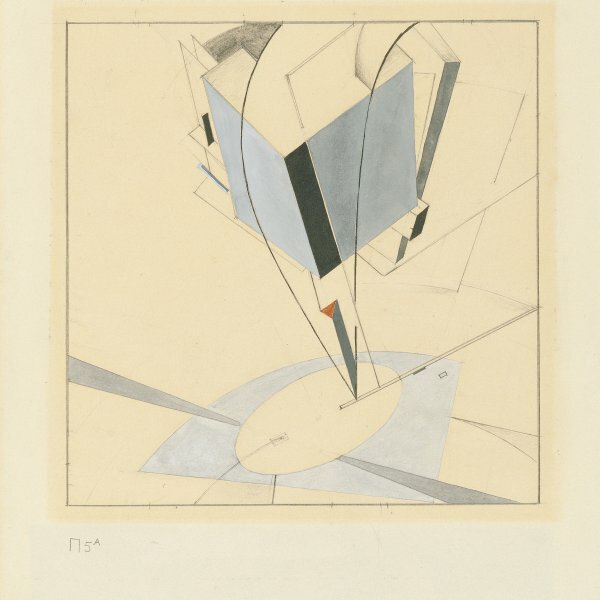 Therefore not only did he produce a few reliefs, but shapes always appear to float in his painting.